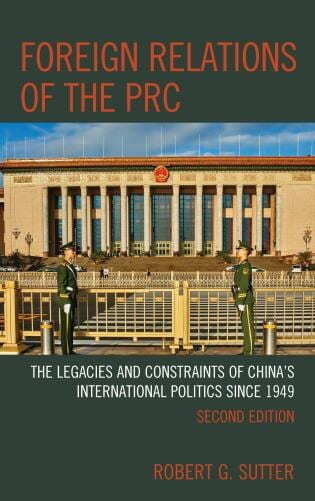 The Sigur Center for Asian Studies, and the Elliott School Book Launch Series cordially invite you to a book launch and discussion of Professor Robert Sutter’s book Foreign Relations of the PRC: The Legacies and Constraints of China International Politics since 1949, Second Edition. The United States is carrying out the most substantial reevaluation of policy toward China in 50 years, anticipating intensive competition and challenges in the period ahead. Against that background, realistic assessments of China’s power and influence and their implications for the United States provide the basis for sound judgments as Americans and others assess China’s rise. 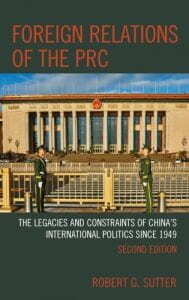 Based on work in his newly published, Foreign Relations of the PRC: The Legacies and Constraints of China International Politics since 1949, Second Edition, Sutter will offer a balanced assessment of the strengths and limitations of Xi Jinping’s foreign policy achievements and ambitions in his second term. The findings show that despite enormous publicity in China hailing the confidence and foreign policy successes of its authoritarian leader, serious constraints confound Beijing’s ambitions, with broad ranging, unexpected pushback from the Trump administration heading the list of major impediments for which China has no easy answer. 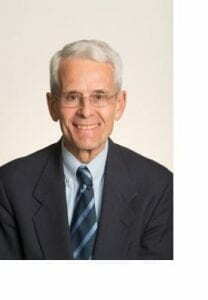 Robert Sutter is Professor of Practice of International Affairs at the Elliott School of George Washington University beginning in 2011. He also serves as the school’s Director, Program of Bachelor of Arts in International Affairs. A Ph.D. graduate in History and East Asian Languages from Harvard University, Sutter taught full time for ten years at Georgetown University’s School of Foreign Service and part-time for thirty years at Georgetown, George Washington, Johns Hopkins Universities, or the University of Virginia. He has published 21 books, over 200 articles and several hundred government reports dealing with contemporary East Asian and Pacific countries and their relations with the United States. His most recent books are: Foreign Relations of the PRC: The Legacies and Constraints of China’s International Politics since 1949 (Rowman & Littlefield 2018); US-China Relations: Perilous Past, Uncertain Present (Rowman & Littlefield 2018); Chinese Foreign Relations: Power and Policy Since the Cold War (Rowman & Littlefield 2016); The United States and Asia; Regional Dynamics and 21st Century Relations (Rowman & Littlefield 2015). Sutter’s government career (1968-2001) focused on Asian and Pacific affairs and US foreign policy. He was the Director of the Foreign Affairs and National Defense Division of the Congressional Research Service, the National Intelligence Officer for East Asia at the US National Intelligence Council, the China Division Director at the Department of State’s Bureau of Intelligence and Research, and professional staff member of the Senate Foreign Relations Committee.